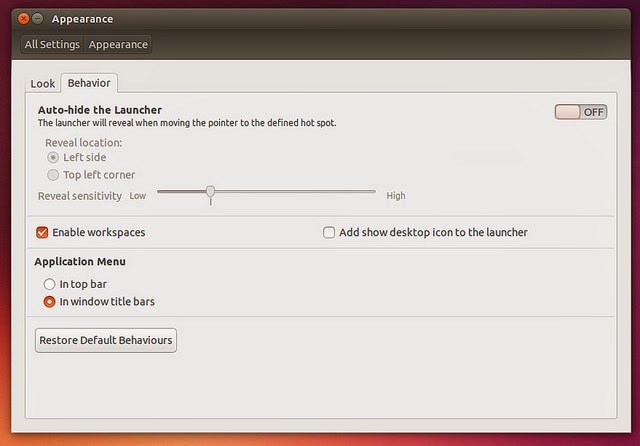 Local Menus are making a comeback in Ubuntu 14.04 LTS - albeit, with one small twist! Time to say good-bye to global menus already? Seems like it. Canonical is planning to ditch its controversial and much talked about global menus for the more conventional Local menus setup, starting with Ubuntu 14.04 LTS "Trusty Tahr". This is a huge departure, considering the fact that global menus were introduced just about two years ago. Marco Trevisan is part of the Unity desktop team at Canonical which focuses on polishing and improving the user experience of Ubuntu's default window manager for the next upcoming LTS release. The integration of keyboard filtering into Unity spread is a direct result of the hard work done by people behind this team. But that's not all. In a recent blog post, Marco Trevisan has announced that, Unity desktop is switching to locally integrated menus (LIMs) instead of universal/global menus starting from Ubuntu 14.04 LTS release. LIMs will show the menus inside the decorations themselves in horizontal mode (until there's room for them). Hence, vertical space and the nice look of menu-less windows are not compromised. The two screenshots above will give you the picture. "Having the applications menus in the top panel really worked very well in small screens but now, especially with HiDPI monitors getting more and more popular, the top panel could be really too far from the actual window location. The solution, that the UX designer JohnLea has defined are the Locally Integrated Menus (LIM)", he writes. And the desktop team is not rushing with it either. For now, you have to enable it using the Unity Control Center Appearance panel (see above screenshot). 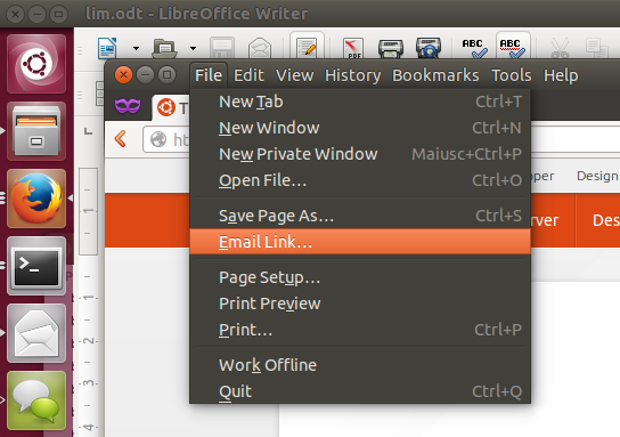 More details about locally integrated menus and Ubuntu 14.04 here. Watch locally integrated menus in action below.